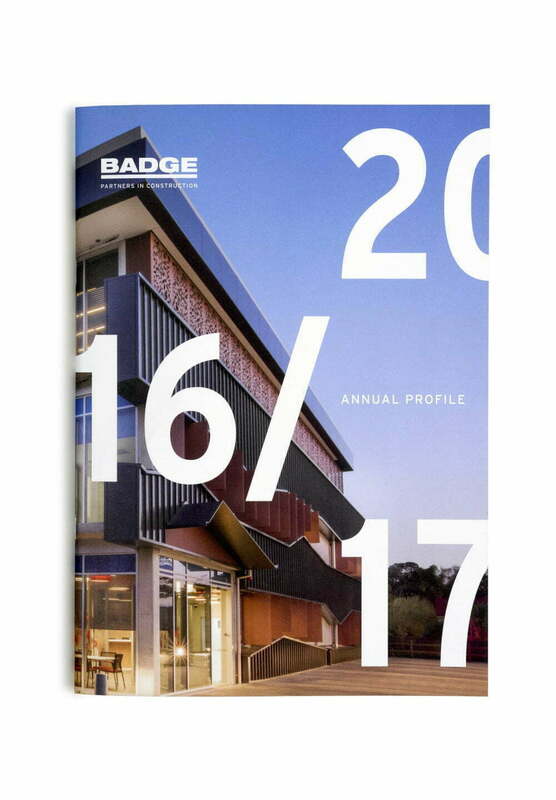 BADGE Construction have selected Toolbox to be a brand custodian and overhaul the look and feel of all printed and digital collateral. 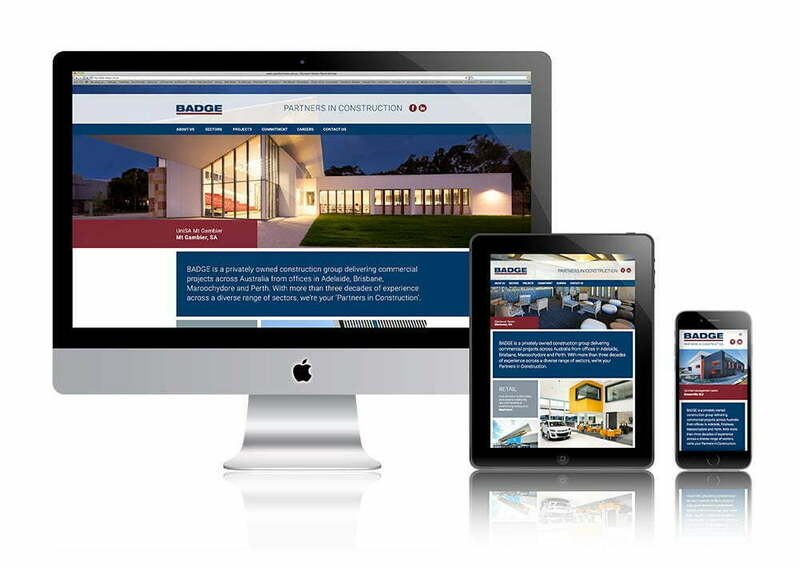 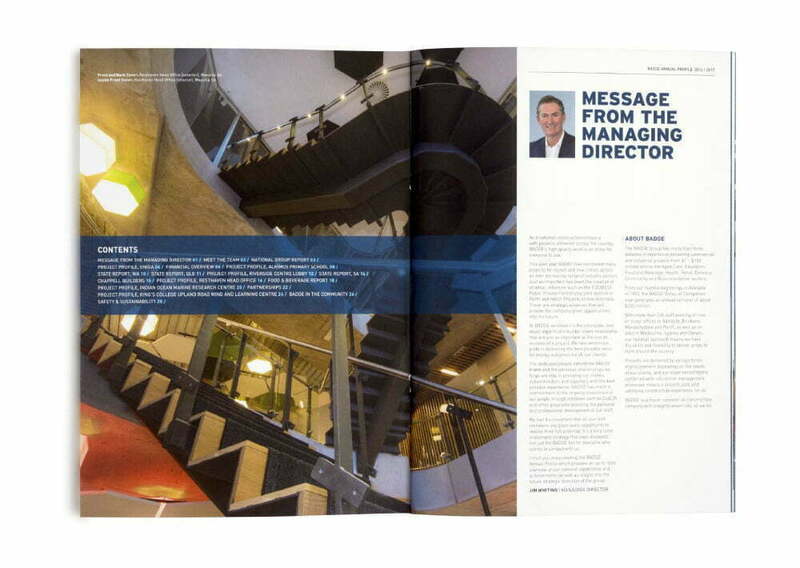 The company’s annual and sector profiles are the first of these along with a dynamic new website. 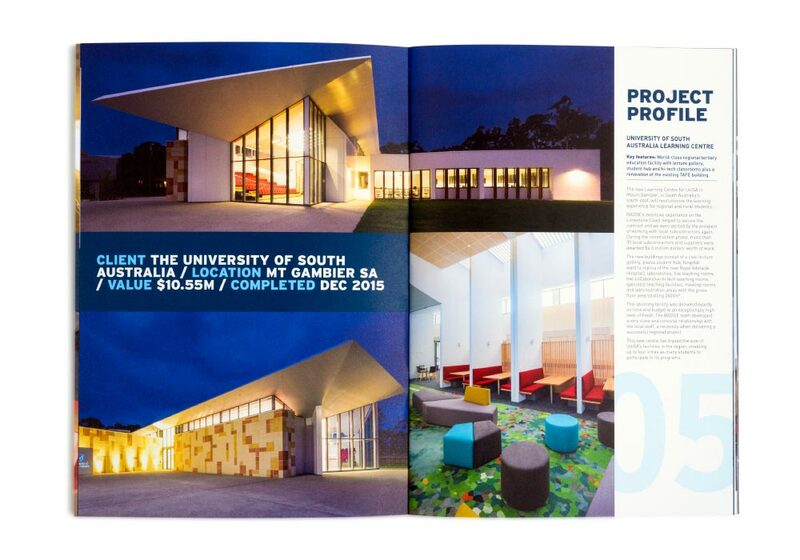 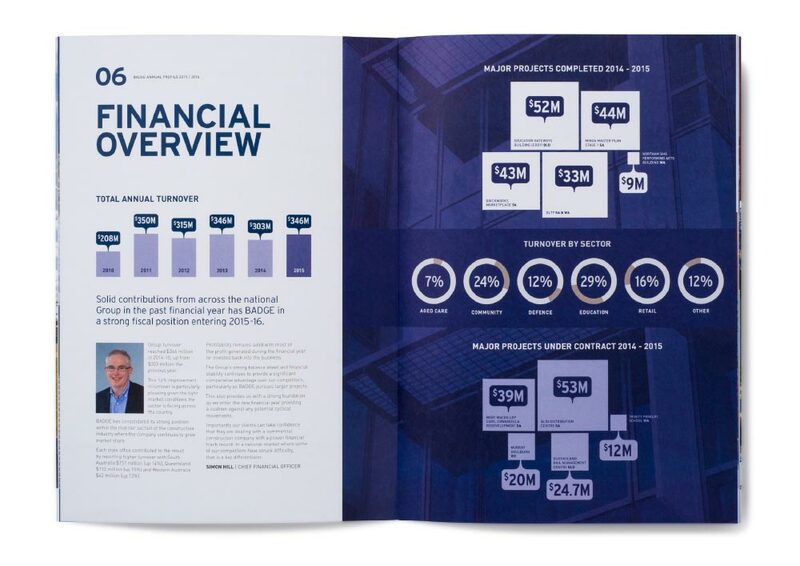 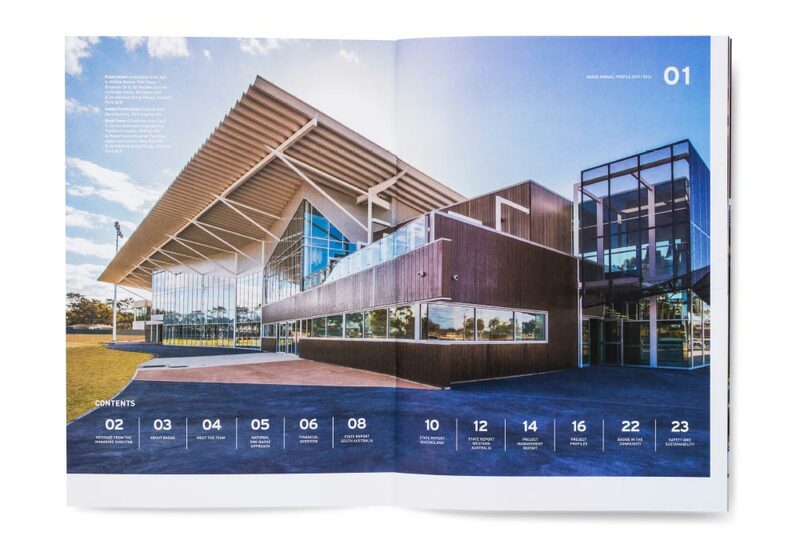 The annual profile is a great example of the use of bold architectural photography, coupled with dynamic changes in layout and page composition and engaging use of financial info graphics, which brings their suite of documents to life. 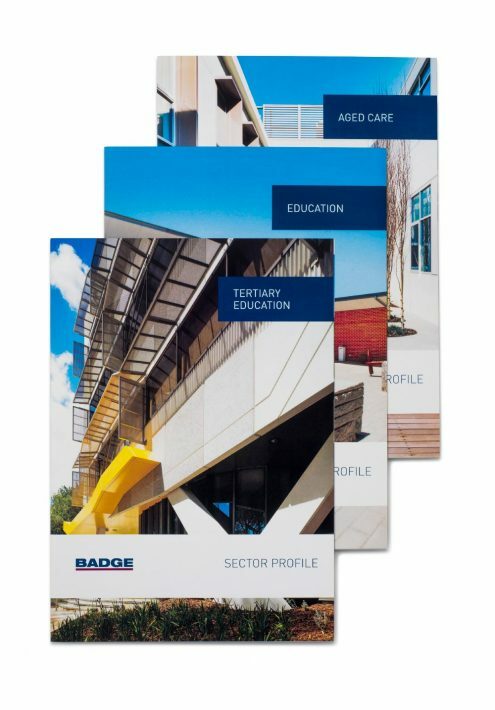 The sector profiles are a suite of documents which deliver a taste of the experience the company has across a range of specialist industry sectors. 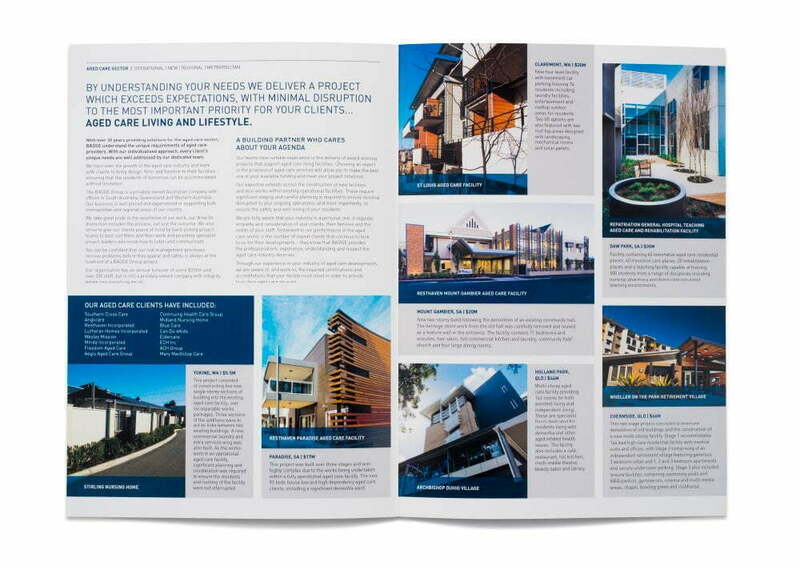 Previously these documents were text heavy, with small thumbnails of work imagery on the back page of each document. 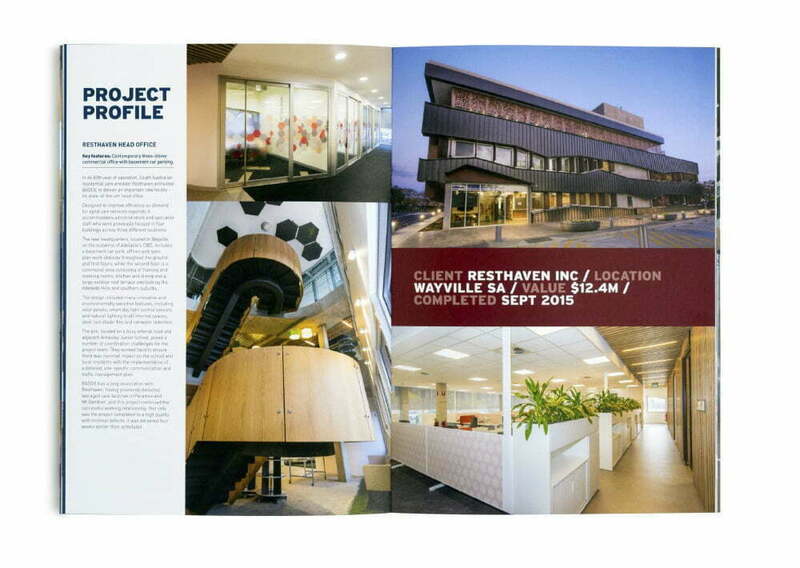 By making the work the hero, each document now has a dynamic internal spread of projects, with rich imagery and minimal specifications text. 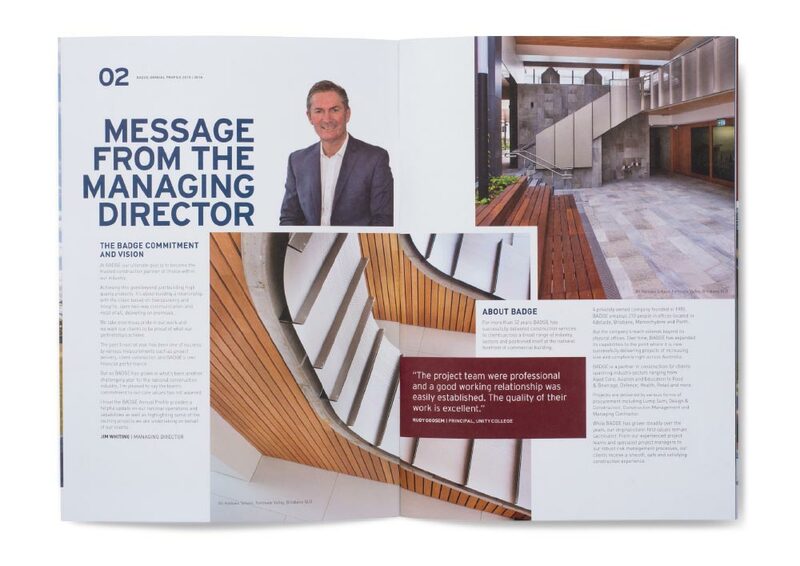 The result is a focus on what ‘sells’, which is the work itself and the in-depth project detail is then accessible via the new website. 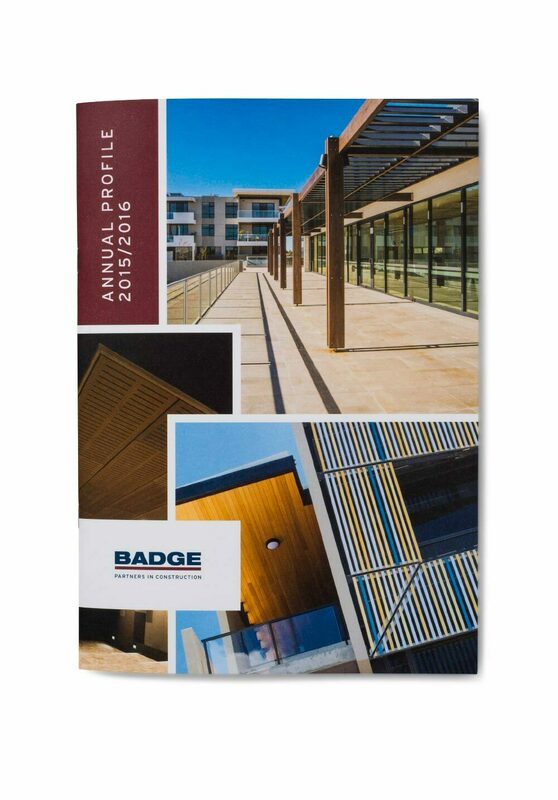 The new look and feel for BADGE is a strong reflection of the quality and architectural detail of their building work, which was previously not reflected in the brand.